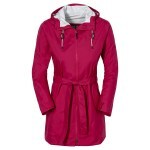 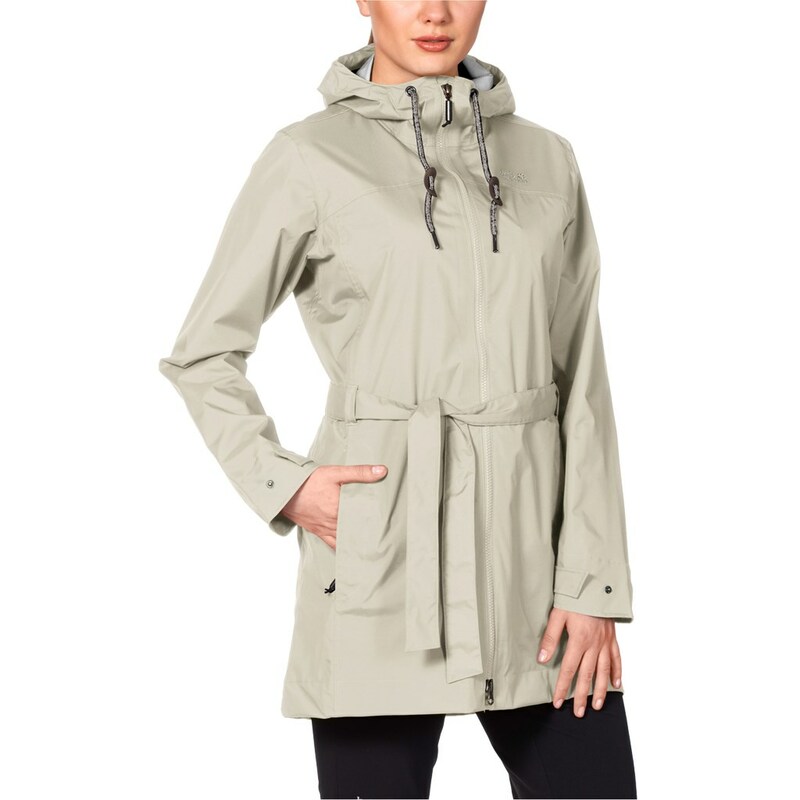 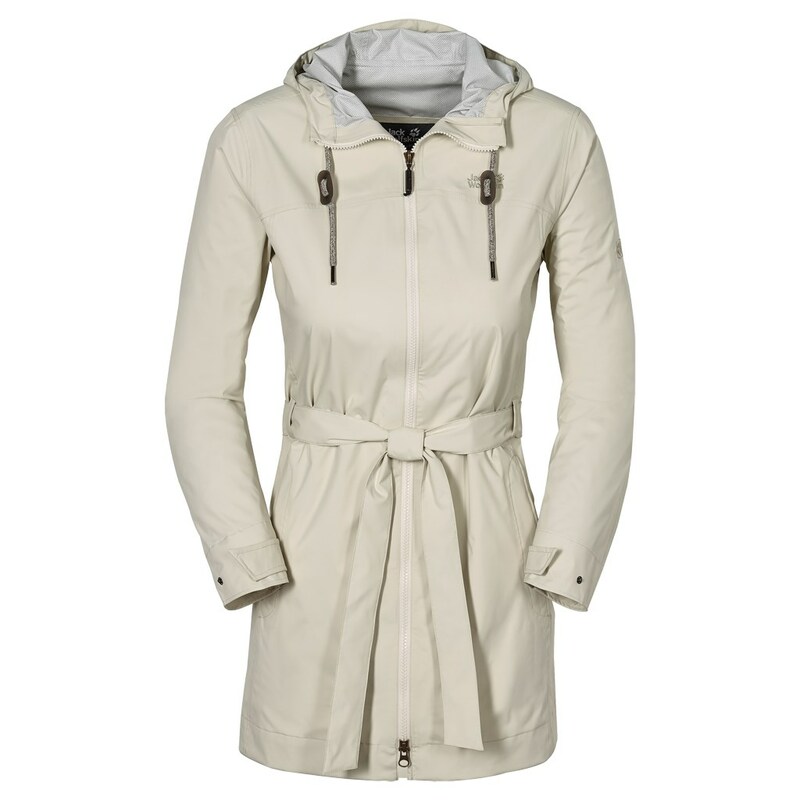 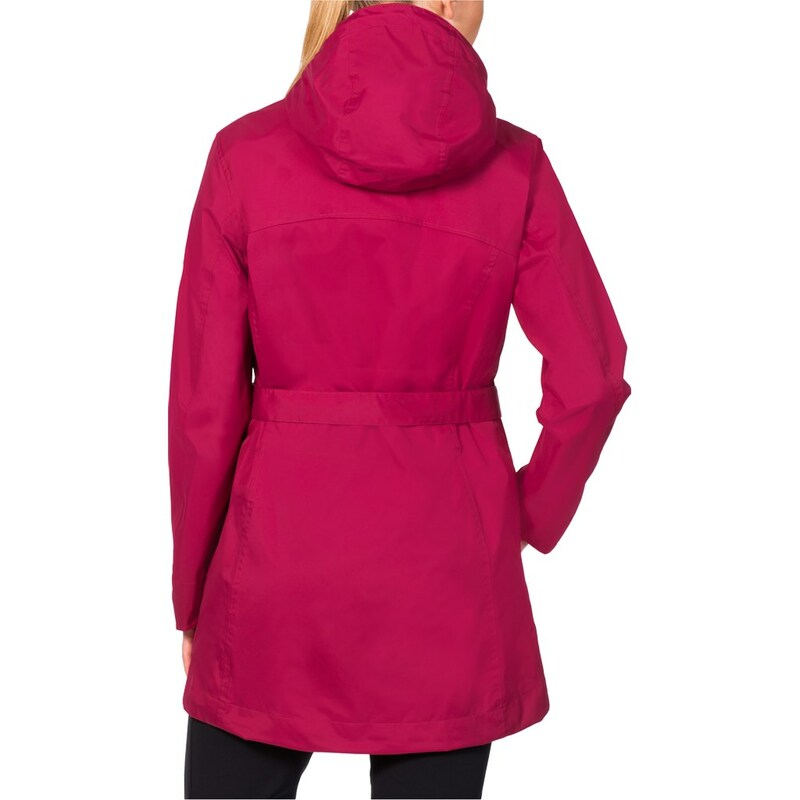 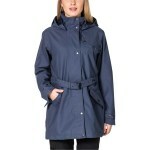 The Jack Wolfskin Women's Kyoga Coat is a flattering longer length stylish rain jacket that is lightweight making it ideal for protecting yourself from the changeable weather in the warmer months! 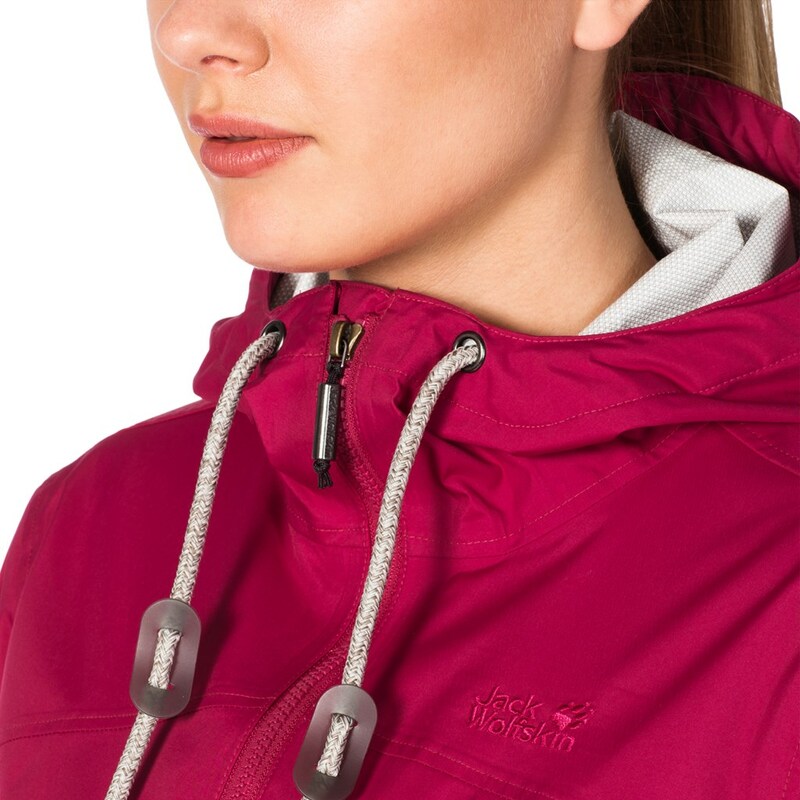 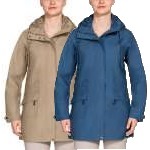 This jacket is waterproof, windproof and breathable to offer you excellent weather protection and comfort. 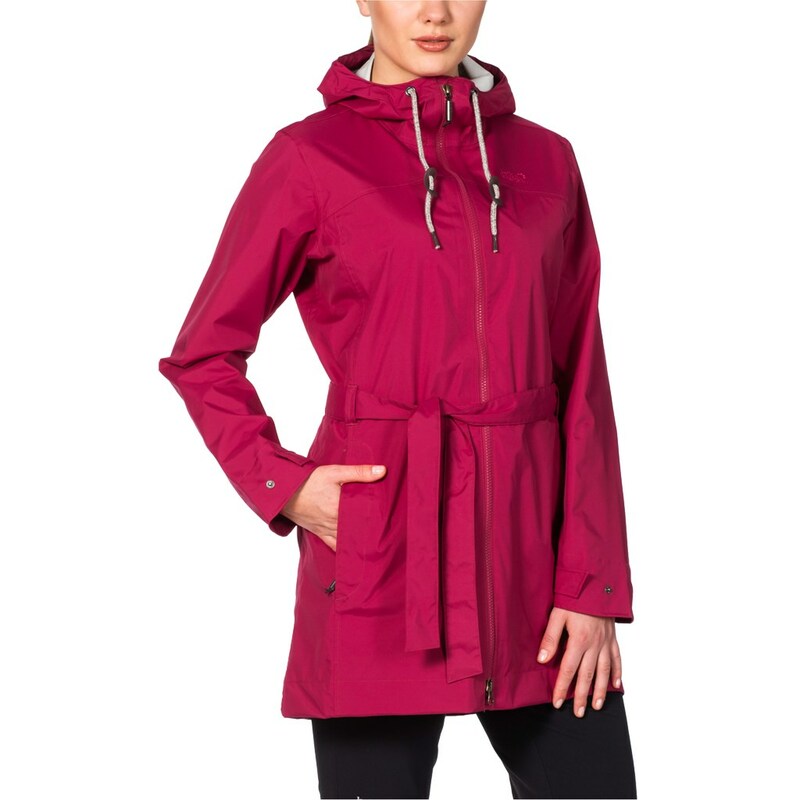 The Kyoga has a beautiful flattering cut with a removable waist belt, embroidered jack Wolfskin logo and three useful zipped pockets making it a fantastic jacket for everyday use!